I’m beginning to see a groundswell of disgruntled Veterans contacting me after my prolonged Extraordinary Writ series from January through March. All contain one thread-delay, denial, misconstrual. In a word, all that VA has always been famous for coming on nigh 239 years (since 1776). I count retroactive pensions for those who fought that first War of Independence. The common sentiment is “Can I file a Writ too?” You betcha. That’s the short answer, of course. If you have Jesus in your heart and $50 in you wallet, you can file. If you feel you got handed the wrong end of the punji stick, you can file. If it’s been three years since you heard from the RO, and your VSO rep.’s phone machine still says they’ll be out of the office until January 2nd, 2014, you can file. If you’ve written them a gazillion letters in the last two years and all you get is “We are processing you new claim received on March 2, 2015. Please be patient. We are experiencing a slight delay due to conversion to the new digital VBMS.” , you can file. In short, I can’t think of one good reason between you and that surplus Ulysses S. Grant coupon in your pocket as to why you cannot file. In fact, even if you were totally bereft and down to a postage stamp, you can file. The CAVC is more civilized and has forms. I suppose that now encompasses the VA since March 25th of this year. Nevertheless, the forms may be filled out by hand and permit some individuality. I’d hold off on the Tickle me Elmo™ stickers in the upper right. We want to appear to have more decorum that those drunken bums with funny hats. You may file for anything you want to but you will never win. My Writ was denied but its objective was more than met. Never has $50 purchased $70,000.00 in all my years of investing-all in less than fifty five days. We’re talking electronically deposited already, mind you. You will either have your Writ denied or dismissed depending on the frivolity or solemnity of the purported crime. If you do not have a long track record of VA ignoring you for 20 years, you need prove they have been ignoring you for at least two years and some change. That seems to be the point where the CAVC judge finally asks VA what kind of shenanigans they are pulling. Since it takes the VA 30 days to find anything, it lengthens this process. Otherwise they could do this in a week like GE or John Deere. If the matter is minor, sometimes only two weeks is allotted. The OGC then has some hotfootin’ to do. They usually show back up at 625 Native American Ave. NW and ask for more time about an hour before it’s due. In addition to the two years plus, you need something to show the man that you are awaiting something that should only take a week in VA time. You are going to lose but you are going to prod the VA into doing something-be it issue a SOC so you can pass go, file the VA 9 and move on or to certify a claim with a VA 8 and set it free for DC. That isn’t what it used to be now that VAROs are punting everything to BVA. Often a VA 8 only ensures it moves from one pile to another at the VARO and sits in the new location for two years. A Writ is a cry in the night-usually by someone who is overwhelmed (or underwhelmed) with the interminable delay they encounter at this game. Yes. A game. Face it, if you have to learn the rules and hop through imaginary hoops to attain that which is rightfully owed, it’s no longer an orderly process that anyone can avail themselves of. It devolves not into entitlement but how to push the right button; how to assemble a dossier properly or a well-written resumé professionally accomplished. This is one reason law dogs look at these askance. 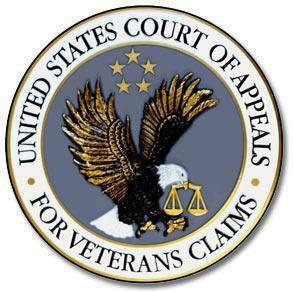 Aside from the fact that VA rarely pays any EAJA fees on them, they are for CLE hours on the clock-pure pro bono work and nothing more. But, there’s always a but, if you get to rep. one of these folks, you get to hear some interesting stories. VA attorneys dislike filing these because they make the rainmaker look like a right tackle on the legal football field. Big and mean and small-minded. Tying up valuable judicial time with frivolous filings is frowned on, and remembered, at the CAVC. If you show up driving a Writ, it better be a classy ride like mine was. A pro se Writ might not have a legal shred of evidence to support it and it will still elicit an investigation for the delay. In that, it is one hell of a tool in the Veterans’ toolbox. For fifty samoles, you can get the ultimate eBenefits update while you’re sitting on the VARO freeway after exit 3. Yeppers. In forty five days, you will find that you’re now at exit 4 and traffic is once again moving smartly along at 10 mph. Expected decision time at 810 Vermin Ave. NW 20420 is approximately two years and three months dead ahead unless, of course, you get a kicker advancement on the docket under 38 CFR § 20.900(c). Then it’s two months. Dream on. I got one but hey, I’ve been sitting on the Group W bench since March 1994. A Writ is the absolute quickest panacea for those “Why haven’t they called?” moments. When the better half is having a hard time feeding the kids on WIC tickets, EBT, and the stipend from the state, you can show you’re proactive and file a Writ. She and you will both have an answer in short order. Occasionally, claims do fall through the cracks. 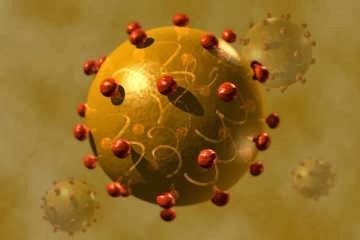 Mine did from January 1995 until I “poked” them in 2007 with stage 4 cirrhosis. That’s a great way to get their attention, by the way. A Writ can be written by you replete with incomplete sentences and dangling participles and I guarantee you will not be at the Court more than six days before the largest hailstorm of legal flyers from across the fruited plane are going to descend on you. That’s our National Organization of Veterans Advocates (or NOVA) working for free for you. Real, live lawyers with brand name Juris Doctorates showing they have more than a GED and DAV in their heart. I think they should make Vets put their email address on the Writ so the NOVA folks can get to the high ground and say no old-growth trees were harmed in the production of trying to rep. the Vet. Shoo doggies. I could have been a politician. Listen to me. A Writ can be brief and to the point or it can run to 125 pages like mine with evidence. The actual document is legally constrained to be 20 pages or less about the actual crime, but that’s a lot of complaining. I did 21 years worth of travesties in 17 pages to give you an idea. A Writ can be a true legal work of art or it can be a coarse canvas with stick figures (figuratively speaking, of course). You can bring what you want to it. The important thing is to file it. Another beauty of a Writ is you are allowed to introduce the evidence of your choosing. There is no statute or regulation restricting what is submitted. It simply has to be on paper. No body parts or other organic substances are permitted which rules out trying to bribe the CAVC Judge with Krispy Kremes™. And that, gentle reader, is why I called you here. Member Howard, (not the famous Howard of Our Lord’s Prayer Howard) who is attempting this project, has asked for some parameters as well as particulars. One thing he advocates, and I can break bread with him on this, would be for every Veteran- every man jack- who has been interminably delayed beyond the 2 1/2 year talisman to file a Writ. Since most are indigent, nearly so, or meet the rigorous CAVC $2 million dollars or less test, this would only pose the cost of a 48¢ stamp currently. Paper is cheap. You could even download and print the CAVC application at the library assuming you had a mobile, changing zip code with the seasons or your own whims demand you lead a spartan, outdoor existence eschewing normal living abodes. Boy howdy, talk about a backlog. Veterans filed about 4,000 Writs last year. Can you imagine 400,000 of you monkeys showing up pro se and exercising your right to a Writ? Just don’t say I sent you, okay? Blame Howard. It was his idea. That’s what we did in Vietnam. Once you launch a Writ, much like a bullet, you cannot call it back. Nor would you want to. It’s pure enjoyment and high theatre to watch the OGC lash the poor VARO slaves and dredge up these lost files and mislaid claims- the older, the more egregious, I might add. Witness how the Seattle folks suddenly discovered they had a case of the vapors last fall and accidentally denied my CUE in their poorly reasoned SOC. With nary a smidgen of new evidence, the arrival of the OGC at the front door sparked a completely different outcome without so much as me filing anything more that a silly $50 Writ. Not only that, they even upped my ratings, gave me back one, and made it retro to 1994. And I was dealt two, count ’em, two VA 8s in that Writ poker game.I suppose, on second thought, if you got a case of the willies you could call it back. I know there are some who get a 0% rating for Tinnitus and worry that VA’s Bad Boys are going to come and take it away if you file for an increase too soon. That’s a faery tale told by VSOs at bedtime to scare Vets. Who says you can’t buy justice? Of course, if everyone starts filing a Writ based on the presumption they got dissed or ignored, Bruce “Almighty” Kasold will probably up the entry fee to $100. J1VO. Keep sending those cards and e-letters in, folks. I read them all. 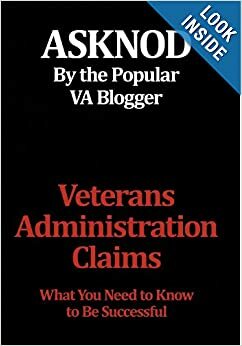 This entry was posted in CAVC Knowledge, CAVC ruling, EAJA, Extraordinary Writs of Mandamus, Lawyering Up, Tips and Tricks, VA BACKLOG, Veterans Law and tagged ASKNOD BOOK, asknod.org, asknod@wordpress.com, CAvC/COvA Decisions, Gulf War Claims Help, HCV Veterans, HCVETS, Korean War Vets Help, VA claims, VA Extraordinary Writ of Mandamus, Veterans Benefits, Veterans claims help, Veterans Humor, Vietnam Veterans Claims Help.. Bookmark the permalink. Two years plus from this publication and I “just discovered” America! Oh, maybe behind the Scandahovians, eh? Anyway, received an “Update” yesterday via the USPS (ain’t it grand) and From; Evidence Intake Center, PO Box 4444, Cheeseville, WI 53547-4444. Correct me Master, but ILP does permit avocational applications. Does it not? Yes sir, it does which is why we are at the BVA confirming that regulation and OGC Precedent.